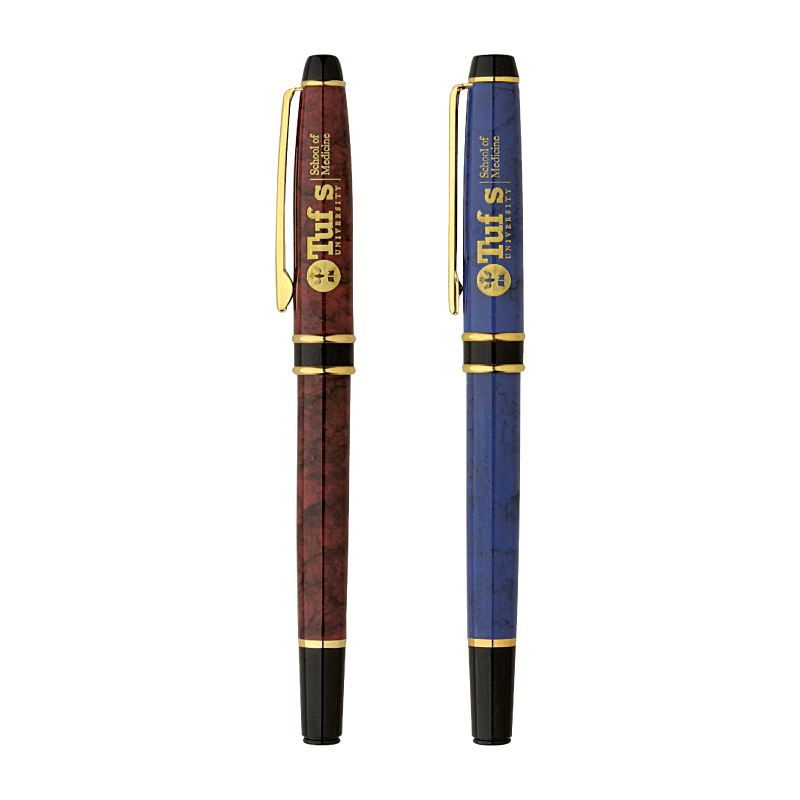 Product Details: Lacquer coated marble brass rollerball pen with gold trim. Removable cap. Standard black ink. Price includes 1 color only imprint or laser engraving.